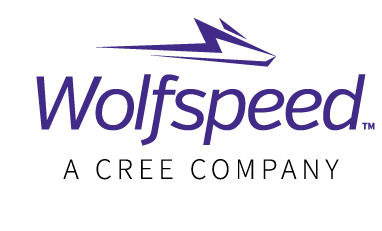 Wolfspeed, A Cree Company, is leading the innovation and commercialization of silicon carbide and gallium nitride, liberating designers to invent power and wireless systems for a responsible, energy-efficient future. Wolfspeed’s wide bandgap semiconductor products for power and radio-frequency (RF) applications deliver new levels of performance through increased efficiency, higher switching frequency and reduced system size and weight for the transportation, industrial, energy and communications markets. Revasum offers a portfolio of market-leading wafer processing equipment. We provide premiere CMP, grinding and substrate manufacturing equipment to critical growth markets including silicon, power, RF communications, LED, MEMS, semiconductor and other mobile applications. Each of Revasumâ€™s products is designed with the customer in mind. As a result, each of our tools meets or exceeds our customerâ€™s requirements for quality, performance, and cost. ST is a global semiconductor leader delivering intelligent and energy-efficient products and solutions that power the electronics at the heart of everyday life. ST’s products are found everywhere today, and together with our customers, we are enabling smarter driving and smarter factories, cities and homes, along with the next generation of mobile and Internet of Things devices. By getting more from technology to get more from life, ST stands for life.augmented. In 2017, the Company’s net revenues were $8.35 billion, serving more than 100,000 customers worldwide. Further information can be found at www.st.com. Support for ECSCRM 2018 is via the EPSCR funded project "Ultra-high voltage (>30KV) power devices through superior materials for HVDC transmission" led by Dr Vishah Shah at The University of Warwick. 'Energy' is one of the University of Warwick’s research priorities. The University is addressing global challenges through its world-class multi-disciplinary research. Warwick has core strengths in several key areas of Energy research, including: Power Electronics; Solar Energy; Thermal Energy; Energy Management; Low Carbon Transport and Energy Storage. With a current grant portfolio of over £70m and strong links to industry and policy makers, and as a member of the Energy Research Accelerator, Warwick’s energy-related research is a truly multi-disciplinary and multi-sectoral activity. Sponsorship opportunities still available - see here!